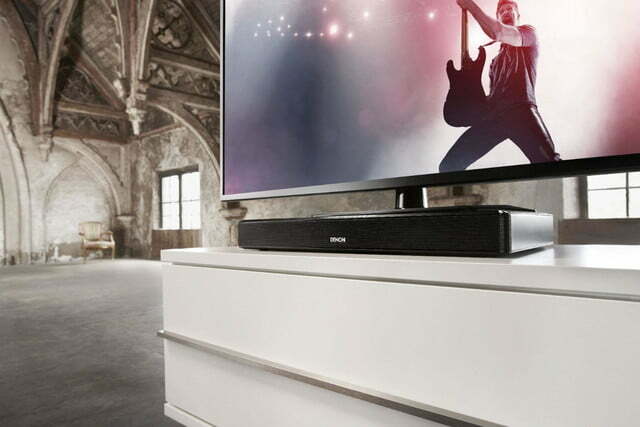 As the sound platform looks to supplant soundbars as the next must-have device for home theater audio on the cheap, the question wasn’t if Denon would add its own piece to the pile, but when. This week we got the answer, as Denon unveiled its new DHT-T110, a slim little module that holds 60 lbs of TV real estate, and sports all the trimmings you’d expect from a modern entry in the rapidly-expanding sound platform genre. 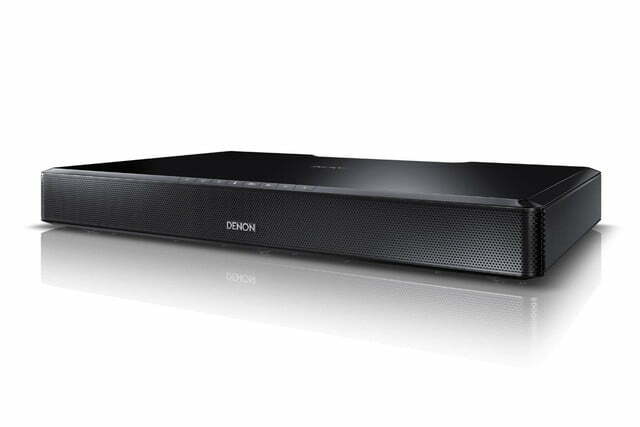 Like most sound platforms on the market (Denon calls its unit a speaker base), Denon’s DHT-T110 is priced to move, coming in just under $350. 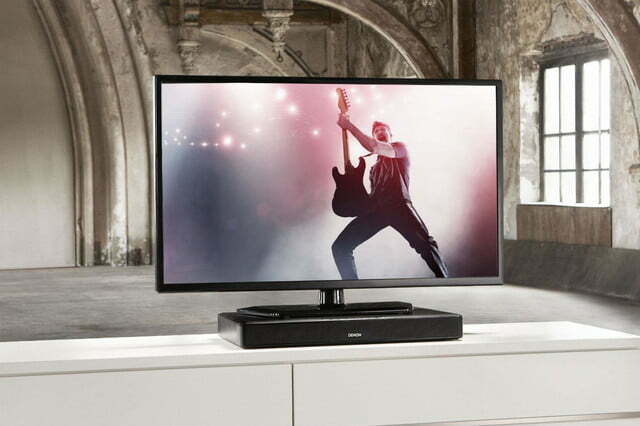 For that price users get an ample selection of features, including basic Dolby Digital decoding, virtual surround sound, Bluetooth with aptX for near CD-quality sound from compatible devices, DSP modes tailored for music, dialog, and movies, and a learning mode to read commands from your TV remote. Under the hood, the T110 sports dual 2.5-inch drivers, as well as dual oval-shaped 2 x 5-inch drivers to help it reproduce low frequency audio from within its rectangular chassis. Apart from its wireless Bluetooth option, connections include both Optical and Coaxial digital inputs, as well as a 3.5mm analog input. Notably missing are any HDMI ports, something we were pleasantly surprised to find on Sony’s competing HT-XT1 sound platform. 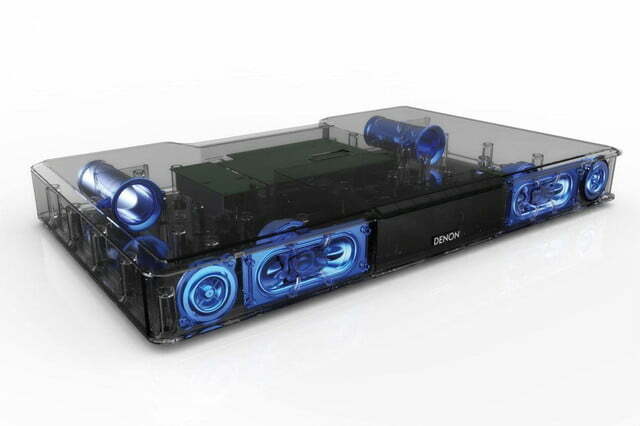 Entering an increasingly competitive field, Denon’s new DHT-T110 will have its work cut out for it to make an impact. We’ll likely be checking the unit out for ourselves soon, so stay tuned for our impressions. 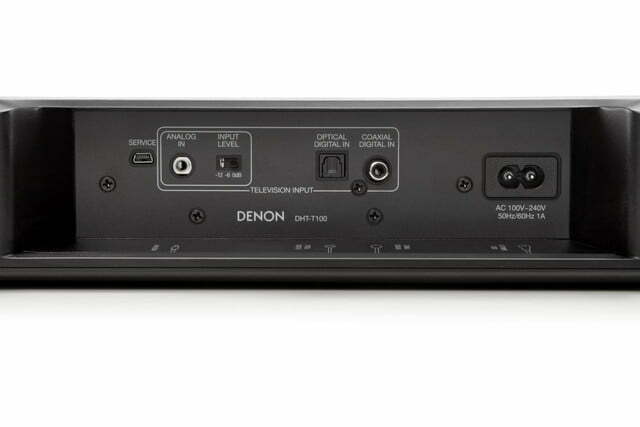 Denon’s DHT-T110 sound platform is expected to be available in late October, for a price of $349.